Lately this has been one of my favourite outfit to wear because I put togheter all of the new stuffs I got during the month of January: my Zara bargains, jacket and heels but most of all Celine Paris Inspired tee, a statement piece I have seen wearing a lot in street style looks! This shirt is so minimal but stylish at the same time! Love it so much! I also like how the gold studs melt well with white, black and jeans! Ultimamente questo è stato uno dei mie look preferiti da indossare perché racchiude gran parte degli acquisti fatti durante il mese di Gennaio: la giacca e i tacchi presi con i saldi da Zara ma soprattutto la tee Celine inspired, un capo che ho visto indossare moltissimo negli outfit street style! Questa t-shirt è così minimale ma elegante al tempo stesso! L'adoro! Mi piace anche come le borchie dorate si fondono con il bianco, il nero e il color jeans! Bellissimi questi shorts, mi piace il mix che hai fatto! Come stai bene! Mi piace molto l'abbinamento shorts + blazer + stivaletti! Hi dear, you look sensational, those heels are amazing and love the chic and savvy styling of your outfit. Cool way to style your bargains my dear Francesca! :) Lovely! Love your top! You are looking good! Love the shoes! Molto bello questo look! !La tee è davvero bella e mi piacciono molto anche le scarpe!! Great title......and you certainly did!!! :) LOVE this outfit!!! You have such great style!!! You look AMAZING!!!! Wonderful photos!!!! Love your blog!! Che bella!!! Che carina la tee!! Stupende le scarpe!! This outfit was worth the look. I love the t-shirt and the boots are better than mine :) Great outfit. Look carinissimo e ti sta molto bene (: Reb, xoxo. Like it very very much! La giacca è troppo bella, anche io ne ho preso una con le borchiette ma la devo ancora indossare! Grazie per il commento! Che fighi gli shorts :D mi piace questo outfit! to those that play in the regular Slots gratis mobile. better defense and wanting to hit multiple targets. Mi piacciono molto i tuoi shorts!! scarpe bellissime e blazer! Fabulous look!!! Like your shoes!!!!!!!!!!!!!! LOVE! Seriously, dying for the tee and shoes! 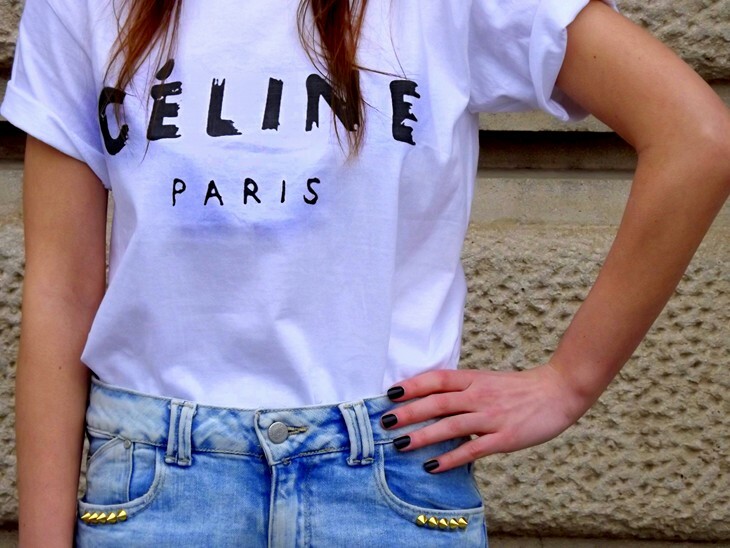 It´s a perfect outfit!Love the t-shirt! !